Find out which business has the top tax bill in the nation. It might surprise you. WASHINGTON — A list of the properties across the U.S. with the 100 largest annual property tax bills includes only one Washington area property, with this list dominated almost entirely by New York City, Chicago and California. 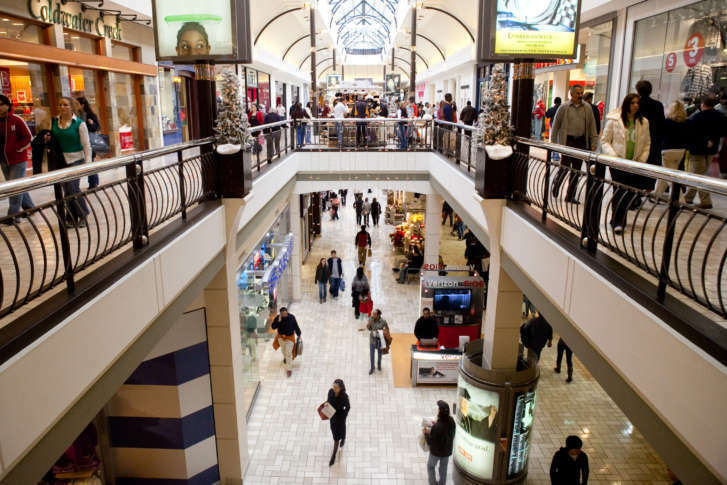 Tysons Corner Center, the 2.1 million-square-foot shopping center built in 1968, ranks No. 62 on Commercial Cafe’s 2017 property tax list, down from No. 60 on its 2016 property tax list. Commercial Cafe says Tysons Corner Center, owned by Santa Monica, California-based Macerich, had a 2017 property tax bill of just over $19.8 million. The top 20 property tax bills are all properties in New York, with the majority of them office buildings in New York City. If properties in New York were eliminated from the top 100 list, Tysons Corner Center would rank No. 9. At the top of the list for biggest property tax bill in 2017 is the Northport Power Station in Fort Salonga, New York, with a 2017 bill of $82.1 million. The General Motors Building in Manhattan ranks No. 2 on the list, and has the largest property tax bill for any office building in the U.S., at $75.6 million in 2017. Stuyvesant Town, the massive post-World War II residential development in Manhattan on the East River, is No. 3, with a 2017 property tax bill for $66.5 million. The Met Life building, 1345 Avenue of the Americas and the International Building, 50 Rockefeller Plaza at 1270 Avenue of the Americas all top the list for 2017 property tax bills.